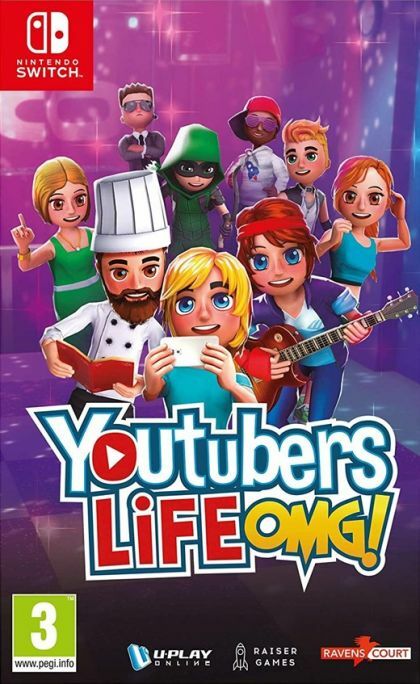 Collectorz.com Core Game Database Nintendo Switch Youtubers Life OMG! You will launch your new venture from your parents' house and gain your first subscribers, views and likes, but soon you're well on your way to fame and fortune as a popular influencer. Meet other well-known youtubers, go to the wildest parties, share your life through social media and deal with your haters. Monetize your content, sign with exclusive networks and customize your place with the coolest stuff. Grow until you can afford a mansion in outer space! Play your own compositions in the Music Channel - Play 30 different instruments and more than 10 music genres. Publish covers, lessons, duets, compose the catchiest songs and give exciting live concerts! Cook the tastiest recipes in the Cooking Channel - Create new, exotic dishes from different gastronomies. Upload tips, tutorials and collaborative dishes, become an experienced chef and work in your own restaurant!